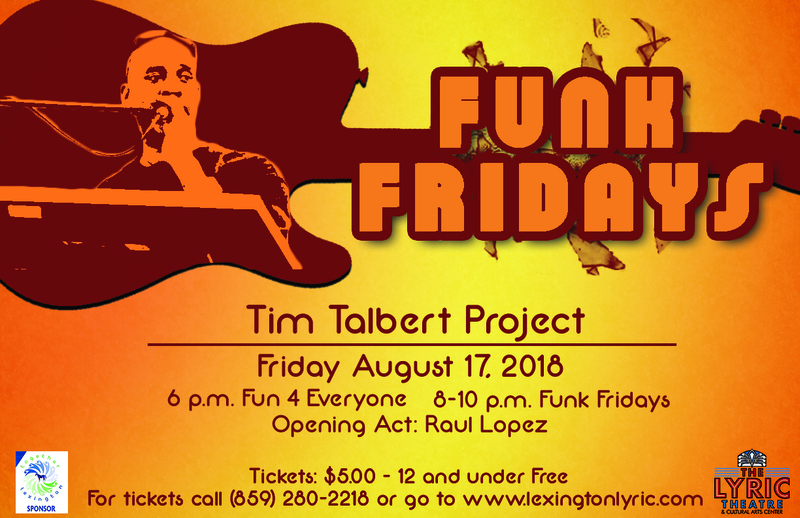 Friday, August 17 come out to the Lyric Theatre for Funk Fridays. Fun 4 Everyone will begin at 6:00 pm, where kids and their families can enjoy family fun time. Starting at 8 pm Funk Fridays will officially begin in the Deweese Street Community Room. Tickets are set for $5.00. Children 12 and under are free. Please contact the Lyric Box Office for more information or to purchase your tickets at 859-280-2218. We would like to thank our partners who made this possible, Together Lexington.